Music is honestly my lifeblood during flights- no matter what the length I need something playing over the cabin din! I love how listening to music on an airplane can evoke a different emotion than it does when you’re on the ground- and by different emotion I mean make me feel like I’m in any movie with an airplane scene ever. Typically I like to switch up what genres and vibes I listen to, but on planes I usually stick to songs that have electronic elements because I find them much easier to hear over all the background noise. I’m sure each of these songs have some weirdly specific genre they fall under, but for simplicity’s sake I like to think of them as chill pop and folktronica whatever the heck that means. 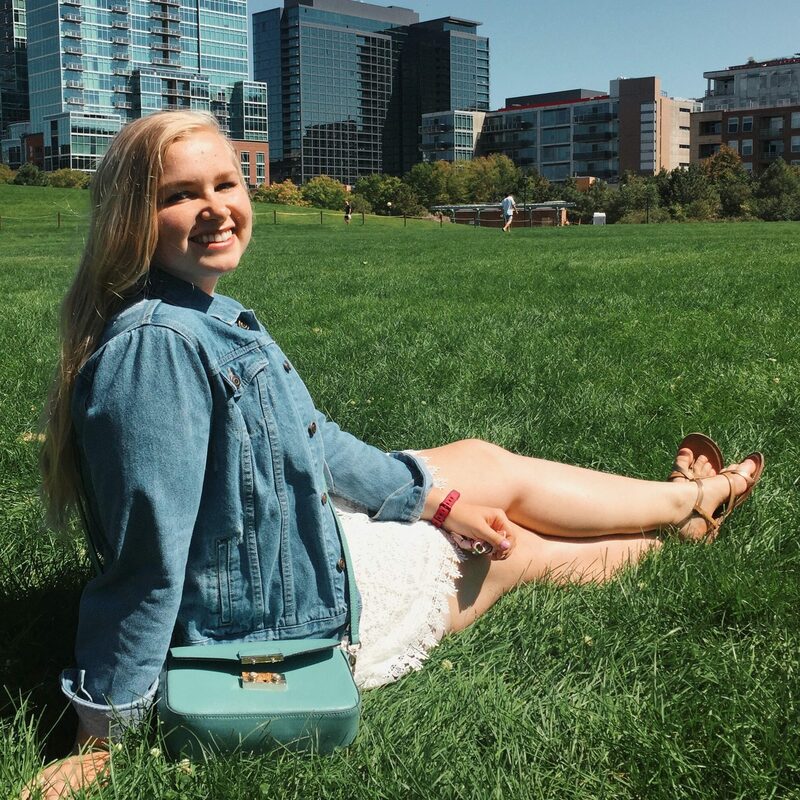 With my recent flight back to the U.S.A. in mind, I thought I’d share my in-flight playlist featuring electronic influenced top hits, lesser knowns, personal faves that have stood the test of time, and of course my guilty pleasures. Be sure to checkout the complete Spotify playlist at the end! Perfect for walking to your gate with a purpose while watching the planes out the windows. If flying were a workout, this would be the perfect pregame song. Honestly kind of sounds like a collab between Hoodie Allen and Kygo. Electronic yet not too repetitive or obnoxious. Makes an excellent pre-flight musical pregame. Moral of the song: don’t mess with Lorde. A collab I never knew I needed but I’m so happy happened. ALL ABOARD THE NOSTALGIA TRAIN. Somehow this song makes you yearn for the past and excited for the future at the same time all while wanting to breakout in dance?? Not sure how OneRepublic managed this but I’m here for it. TY Jim and Dwight for this iconic moment in Justin Bieber’s career. via 9gag. Swedish Kesha killing the game per usual. Damn you Justin Bieber. I want so badly to not like your songs because you just seem like the worst but UGH YOU ARE SO CATCHY. 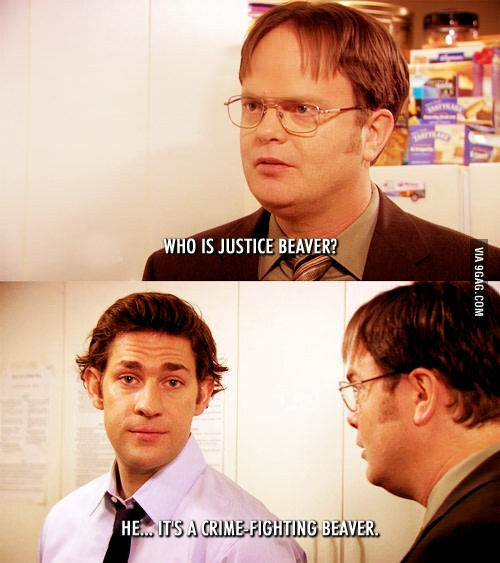 You win this time justice beaver. Let’s take a moment to thank all of the Scandinavian DJs who decided tropical house should exist. What happens when you combine a trumpet, some synth, and soul? This. Yes it’s weird. Yes I’m confused too…but I like it. Listen to this song when you feel like Speedy Gonzales on one of those moving pathways in the airport. Trust me. Spending money you don’t have + Boulder reference + Halsey+ fear of getting older= annoyingly good jam for millennials. One time when I was in Prague Years & Years was playing a show for $15 and I went to the five story club instead. Major regrets. If you are solo traveling, you need this on your playlist. Also this is basically a song within a song and I love it. You make my heart go boom boom boom boom, Coldplay. Not typical Tove Lo but still a stellar song. Yes, you’ve heard ‘Lean On’. BUT! Have you heard the J Balvin & Farruka Remix?? If you love J Balvin’s Latin Remix of J Bieb’s ‘Sorry’ or Enrique Iglesias’s ‘Bailando’ you need to check this out. Another from OneRepublic because 1. I love my C Springs boys and 2. the falsetto in this calls for an in-flight dance party. Kygo, I love you but I’m still unsure why you look exactly like George from Grey’s Anatomy. It takes guts to remix a classic, but Kygo hit it out the park. Nice work 007! Unf. I will never not include ‘Rather Be’ on a road trip/travel/commute playlist. Debated placing this under guilty pleasures. But when a song has almost 300 million plays on Spotify does it still count as a guilty pleasure? Yes? Oh. I want to know what’s in the water in Scandinavia that is nourishing all of these killer musicians. Seriously. How can you not love this song? “Try to live life like my blood type/B positive.” COME ON. My main qualm with this song used to be the weird voicemail at the end. Then I found out it’s a voicemail from vocalist Emily Warren’s grandmother after Emily graduated from NYU and that’s just kind of adorable so now I’m okay with it tbh. Unclear how a song that basically features the vocals of a baby gurgling sounds so good but it is. Not only will this song get you mega-pumped in flight, it is also just a fantastic reminder to take a step and realize how incredible your surroundings and situation really is. Remix so nice I checked out the original. 10/10 would recommend sticking to the remix. Loving all the tropical remixes of classic soul jams. How to make the airplane your personal euro club 101. “If I was a question would you be my answer?” No. Just kidding Luke Christopher. But seriously, prepare to have this stuck in your head for the next 8 years. I WANT TO BE BR/\VE. Her vocals are so calm, cool, and collected on this track that I feel a little more badass just by association. TY Tim Legend and BR/\VE for this masterpiece because I probably played this for 80% of my flight. I still don’t know if Folktronica is a real thing, but if it is, this is it. Thank you Coleman Hell for being the electronic cousin of Mumford and Sons this world needs. WHY DO PEOPLE NOT KNOW THIS SONG. So chill. So fresh. So clean. I dare you to sit still while this song plays. Years & Years meets OneRepublic. Jess Glynne can do no wrong. Her soulful voice, the crisp instruments, and self-love vibes in this song are incredible. If you love her in Clean Bandit’s “Rather Be,” you’re going to obsess over her singles. Although I prefer the original, Felix Jaehn’s remix is perfect for overcoming travel noise. Check it out if you like tropical house, Cashmere Cat, and indie women. Diamond in the rough, check them out if you like Oh Wonder or the Head and the Heart! Betty Who packs a punch, I will honestly never get sick of “All of You”. An electro-anthem with top-40 vibes. You might recognize Foxes from her collab with Zedd on “Clarity”. If you loved her there, you’ll definitely love her here. “But damn girl, since ya come around girl…” Man I love this song!! Check ’em out if you like Matoma or Cheat Codes. SO CATCHY. If you like indie pop, you will love NIHILS. Fact: It is impossible to resist bobbing your head to this song. If you love female indie voices and light dance electronic, Møme & Merryn Jeann are the ones for you. Sorry not sorry this is the third song involving Kygo. Another track perfect for Cheat Code or Disclosure fans. I found this song by binge watching vine-compilations on YouTube…ANYWAYS it’s a little ‘deeper’ house than I typically prefer but something about the broody, intense nature of this song makes it perfect transit. If you like Vampire Weekend or Two Door Cinema Club, Colony House needs your attention right now. ‘Silhouettes’ is so giddy and pure, you’ll find yourself smiling while listening on the plane. S/O to my sister who showed me Saint Motel. This song is so upbeat and sweet, it’s wonderful antidote for when you start to find yourself drifting into the cranky-traveler zone after sitting for hours behind someone who refuses to keep their seat in the upright position. Stare out the window all music-video like while playing ‘Somebody Else’ and turn it up. ‘Dreaming’ is an excellent song choice for when you’re in your last leg of travel and feeling excited for your upcoming adventures- it’s like the song version of happy jitters. Play it after Smallpool’s ‘Dreaming’ to PUMP. YOU. UP!! The first time I heard this song I thought liking it made me all cool and hip. It didn’t. But it did make a perfect traveling track, so you win some you lose some. For fans of Lord Huron and Walk the Moon. ‘Lonesome Dreams’ is one of those songs that will make you look around you and think ‘holy cow I can’t believe this is real.’ If you need a life appreciation check, this will provide it. This song makes me wish my name was Jenny. Soulful yet poppy, Fitz and the Tantrums is just unlike any other. Thank you Whole Foods and Shazam for introducing this particular track to me. Years later and I still don’t know if Lisztomania is a real word but I don’t really care because the song still rocks. Listen to this when you’re feeling like a badass traveler extraordinaire. Still weird. Still catchy. Still an all-time fave. Foster the People is always necessary, but ‘Coming of Age’ is especially suited for a travel playlist since it just perfectly encapsulates the bittersweet feelings that can accompany frequent comings and goings. Madly in love with this song ever since it was featured in 500 Days of Summer. Try staring wistfully out the plane window while blasting this in your headphones for full effect. Killer song asking the real questions. Not only does ‘Take a Walk’ make an incredible concert opener, it’s also a killer adventure tune. So fun and upbeat you forget for a second that this song is basically about a relationship falling apart. Oops. True life I have never met anyone who doesn’t like this song. My sister thinks this song sounds like a bunch of monkeys. I disagree. This song is called ‘Ways to Go’, it was basically made for the explicit purpose of travel and growth. Despite the cringeworthy flight-attendant-on-the-loudspeaker portion, this song I strive to be the type of woman Katy Perry sings about in this song. I blame my Danish professor for instilling my love of Christopher. I blame myself for nurturing that love. This is just pure white boy ‘rap’ but dang is it catchy. This song isn’t good…but it kind of is. Man, I wish I didn’t like it so much. Happy tunes & happy travels!! What are some of your go-to traveling songs? Let me know in the comments below!